LONEHILL – Families came together to celebrate the lives of those who struggle with ependymoma. Layla O’Neill with her butterfly friend on her arm. 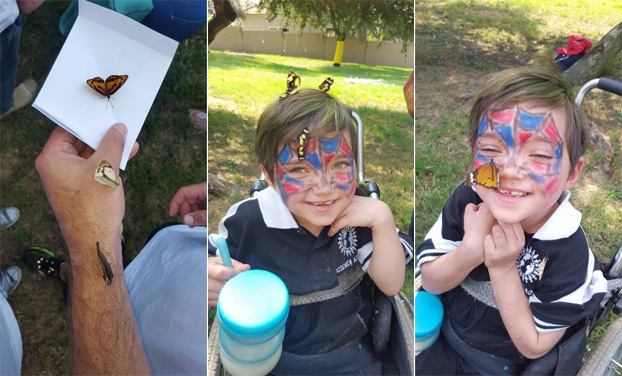 The Lonehill community came together on 6 May at Lonehill Park to raise funds and release live butterflies in support of Ependymoma Day and to honour brave children who live with brain and spinal cord tumours. The Lonehill community enjoyed a day under the blue autumn sky surrounded by good company and laughter. A lovely tea garden, cakes, picnics and good South African boerie wors rolls were on offer as well. Parents and children enjoy the day. Layla O’Neill, the Ependymoma warrior princess, honoured the day with her presence and her smile. She was in complete awe when all the butterflies were released and laughed when one butterfly made itself comfortable on her little hand. A Star Wars themed birthday table was set up for all the children who enjoyed the snacks with their butterfly friends fluttering around them. A variety of beautiful butterflies flutter around. Sharyn, O’Neill’s mother, said it was an honour to have all the parents and children there and thanked them for being an inspiration and hope to others. She thanked all the doctors who came to the event and the sponsors and mentioned that without financial support the battle would be lost. Ependy Angels hosted their 2nd annual Ependymoma Day butterfly release. Layla who was diagnosed in 2013 not only inspired but also made it known in South Africa that Ependymoma does exist. 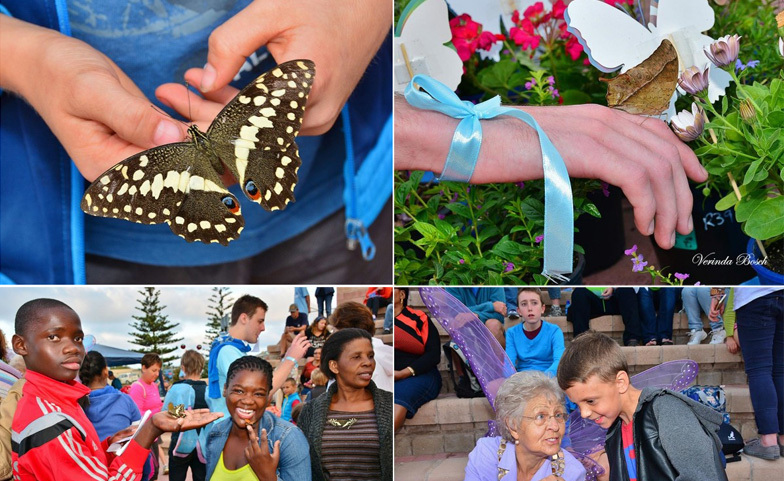 The Butterfly Release was held in Lonehill, Johannesburg where survivors and sufferers joined hands with family and friends, as they personally released butterflies in honor of all the heroes before them and angels like them. Children made their own butterflies, while Ependy Angels educated parents about Ependymoma. Families enjoyed a beautiful picnic as they sat amongst the beauty above and hid the sadness within. Sharyn O’neill (Founder of Ependy Angels and mother of Layla) mentioned the research done by Cern Foundation and all their efforts to inspire us and giving hope. A beautiful day with colours of love. The community came together to support this form of rare brain and spinal cancer, giving hope to others, inspiring them daily and showing compassion when it mattered most. Next year Ependymoma Day South Africa Butterfly Release will be something not to be missed. A Big thank you to Lizanne and her team for the amazing butterflies.